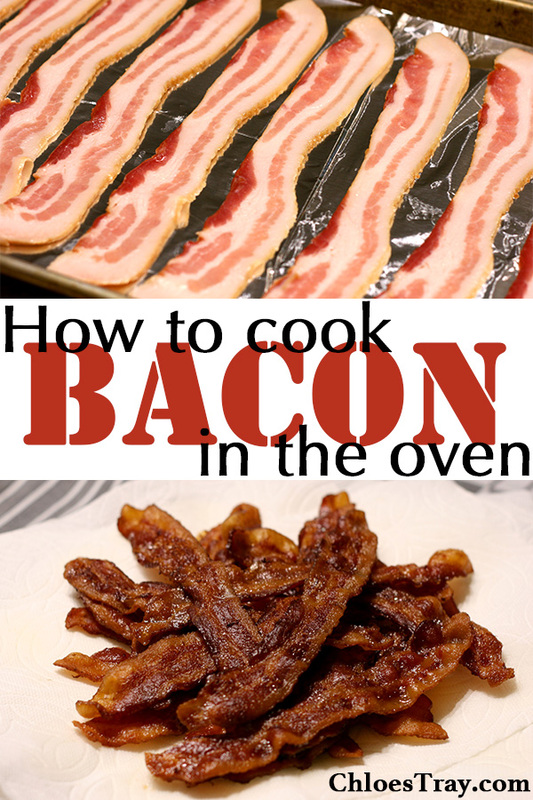 Cooking bacon in the oven makes breakfast prep so easy because it frees up the stove for cooking other delicious foods like eggs and pancakes. Using this method for cooking bacon will help you to have delicious bacon with less work and you will still have perfectly cooked bacon. As you cook the bacon, you need to move the pieces around on the pan because the edges of the pan are going to be hotter than the center. I used two pans so I could cook a whole package of bacon at once. I did swap the pans halfway through cooking. I like to take each slice out as it finishes so I don’t end up with overcooked bacon. Once I removed about half of the bacon, I transferred all the bacon to one pan and took the empty pan out of the oven. 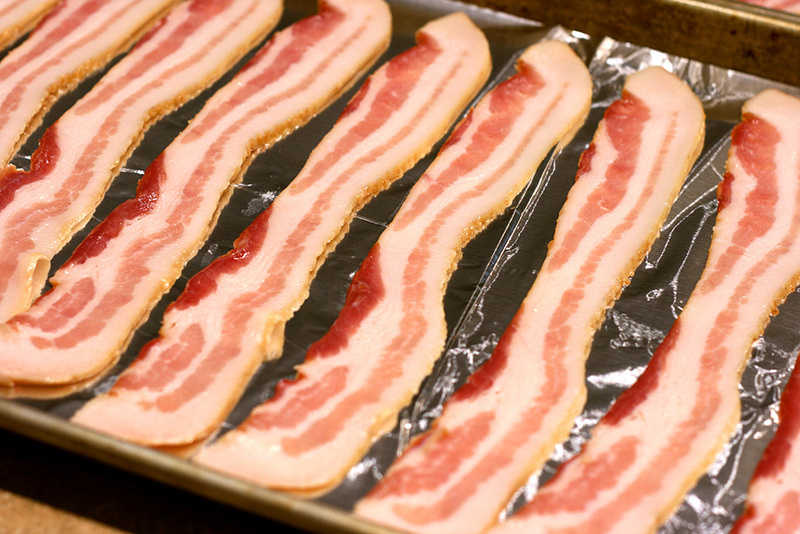 Lay out bacon on a foil lined baking sheet, placing any thicker slices near the edges. Put the pan in a cold oven. 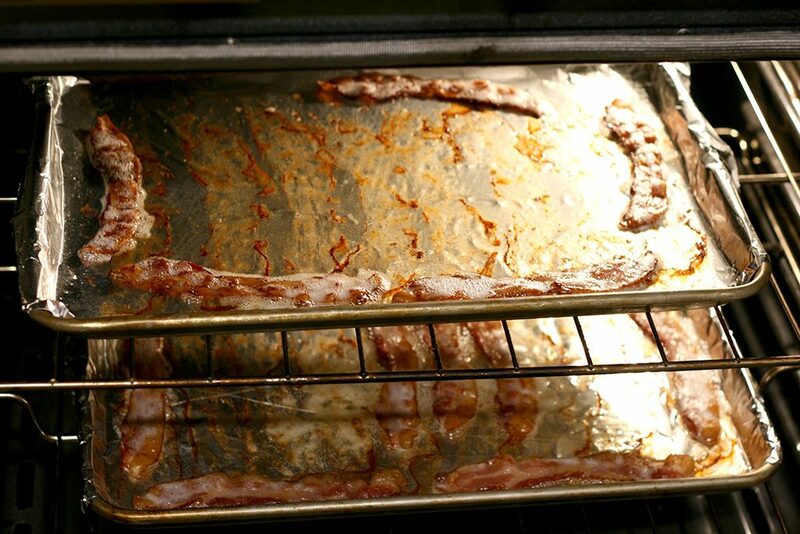 Set the oven to 350 degrees F.
The bacon will cook for about 30 minutes total. Turn the bacon slices over when they start to brown. The edges of the pan will be hotter, so move the slices around the pan as you flip them. 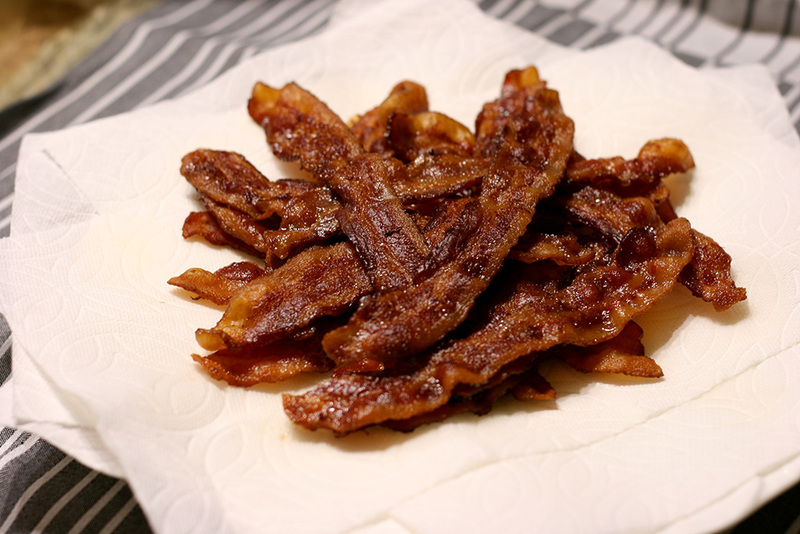 Cook the bacon to your desired crispiness then remove to paper towels. Some pieces will finish before others, so remove each slice as it finishes.